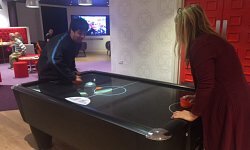 We are a group of people with a learning disability who meet at the Circle on Rockingham Lane. We are a self-advocacy group. We meet once a week to talk about what matters in our lives. The Sheffield Voices group is led by people with a learning disability themselves. 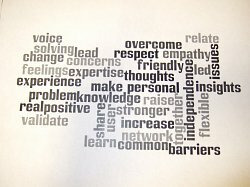 We are committed to learning how to get better at self-advocacy and give other people a chance to get involved. We want to look forward to a time when we don’t have jargon for describing an activity that most people take for granted. We meet every Thursday at 10.00 to 12.00 at The Circle, 33 Rockingham Lane, Sheffield, S1 4FW please contact us for a form if you are interested in joining. Please bring a packed lunch with you. Tea and coffee provided. If you have a learning disability and would like to talk to us about your experience of bullying, we would love to hear from you. This week we will be working on our bullying awareness campaign. Let us know if you would like to come along and talk about your experiences. We will also be working on devising games that illustrate the consequences of bullying in a non-threatening way. Being able to support and speak up for people in a friendly way. Having your say and getting your voice heard. Having choices, having control in your lives. Being listened to. Sheffield Voices started in 1997 and at that time was called SUFA. 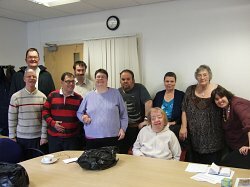 The first steering group met at Voluntary Action Sheffield with the idea of starting a self-advocacy group for people with a learning disability and independent of Social Services and Sheffield Health. We went round to various groups to see what people wanted, then got funding for a support worker. After that we joined with Sheffield Citizen Advocacy (SCA). 1999 Our Vision, Our Future –came to Sheffield about being a self-advocacy group. 1999 – a development worker was recruited. Our contract ran until 2010 with Sheffield Council, when we decided not to go through the tendering process. Since then we have formed our own self advocacy group under the umbrella of Disability Sheffield. To reach out to more people with a learning disability to get more members. To work with other organisations to make sure the voices of people with learning disabilities are heard. Develop our plans to go for funding. You can view our Disability Hate Crime video here.